JOHN F. BAUMGARDNER was admitted to the State Bar of California in 2011. Although he grew up in the Bay Area, Mr. Baumgardner attended and graduated from Purdue University in 2007 with a Bachelor of Arts degree in Political Science, and with minors in History and Organizational Leadership and Supervision. Mr. Baumgardner graduated from Indiana University School of Law – Indianapolis in 2010. 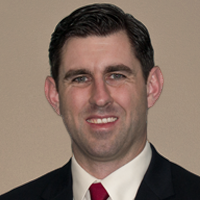 Mr. Baumgardner has significant experience in both civil litigation and criminal defense. He has tried cases to jury verdict and argued numerous motions before Judges throughout the Bay Area and Sacramento. Mr. Baumgardner has handled cases involving claims for construction defect on behalf of homeowners and HOAs, personal injuries, wrongful death, civil rights violations, breach of contract, fraudulent transfers, class actions, education law, the Davis-Stirling Act, and the Lanterman Act. He is admitted to practice before all courts in the State of California, as well as the United States District Court for the Northern District of California and the United States District Court for the Eastern District of California.